Was told that my phone needs an upgrade of the firmware and would take 2 hours. So I left my phone at the SSC while I walked around. It was crowded for an early weekday evening. Probably cos xmas is around the corner and everyone’s busy doing their xmas shopping. After walking around Carrefour and Daiso, and doing a bit of magazine browsing at Times, I started feeling hungry and deliberated over a place to eat. Foodcourt was packed and I wasn’t in the mood to join the crowd. 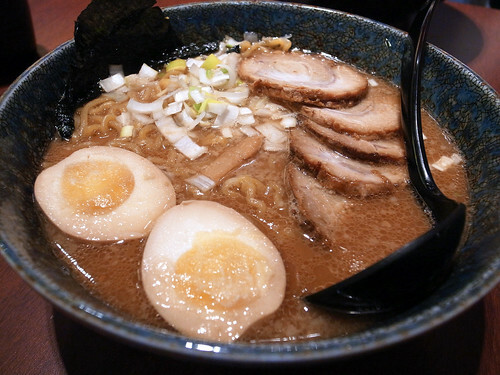 Japan Foods Pte Ltd (JFPL), the company behind Aijisen Ramen has opened a”Japanese Food shotengai” similar to Manpuku in this shopping mall. “Tokyo Walker” as it is called, the place comprises of 4-5 delis under the JFPL umbrella. 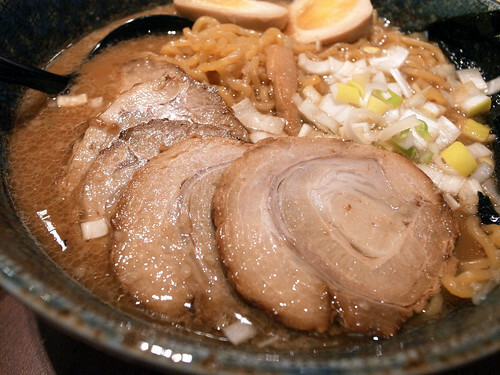 I chose the most no-frills one of them all, Kura Ramen, which turns out to be a spin-off from Ajisen’s. Even the crockery used are the same! my order of Char Siu Shoyu Ramen. The broth is a simple soya sauce base. Other ramen options had red or white miso paste base, all reasonably simple, without needing extensively long periods of preparation, e.g. tonkotsu broth. 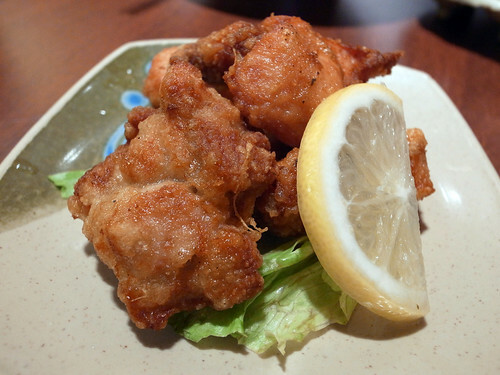 Tori Karaage as a side-dish. Nice and crispy with a tingy of ginger tanginess. 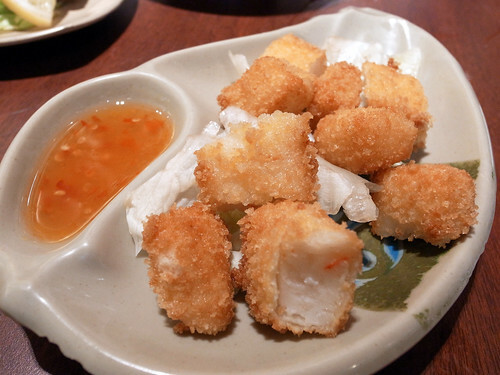 Seafood katsu as a side-dish. There was a promotion going on for weekday meals apparently. This is basically surimi in panko. This entry was posted on December 16, 2010 by Alan (travellingfoodies). It was filed under Food and was tagged with Plaza Singapura, Singapore.